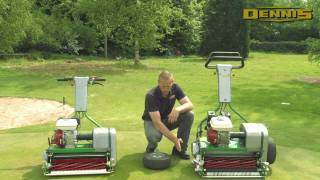 Superbly balanced, easy to manoeuvre fine turf mower. 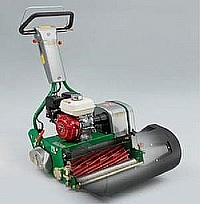 An 11 bladed cutting cylinder ensures an ultra fine finish and has an ultra short wheelbase for undulating surfaces. The machine encompasses the simple 'no tools required' click height adjustors and the low noise, low vibration Honda Q9 engine. The machine is easy to pull ensuring an accurate alignment for the next run. 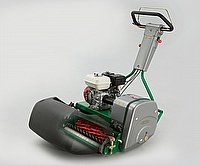 Also available with 7 bladed cutting cylinder. We can't fault it. The proper tool for the job. We use the Razor to prepare the square and strip - it's so easy to adjust the height of cut. It does what it says on the tin.